Traditional felting with modern high-performance roofing membranes gives superior performance. Roofing technology and standards of materials manufacture are now far superior to the basic materials produced in previous decades. Manufacturers offer guarantees of up to 25 years. You can reasonably expect properly installed high quality felted roofing to be durable for much longer than the guarantee period. Felt roofing is an excellent choice for outstanding durability within budget. Also, there are the benefits of fire protection, the flexible movement for walkways and balconies, increased insulation and design choices. As approved and skilled traditional felt flat roof installers, we offer our customers quality options, superior service, expert installation and full maintenance plans. Consider the possibility of converting an existing flat roof area into a stunning roof terrace. We refurbish roof areas and re-purpose them for you at little additional cost over and above the standard flat roof specification. Satisfy all the relevant health, safety and fire regulations with your choice of a flat roof. 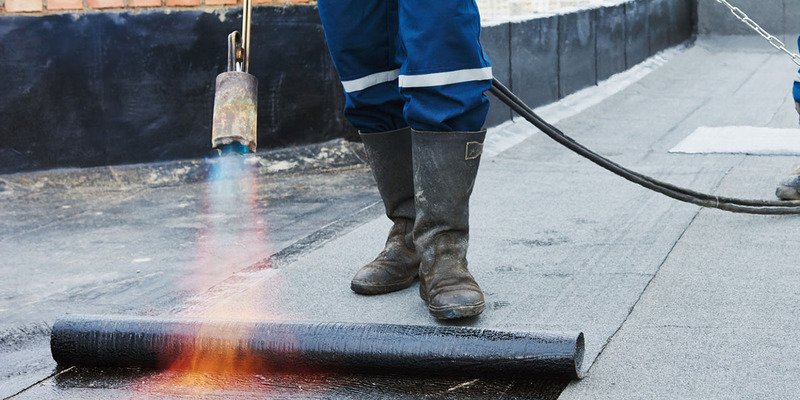 Trained and experienced felt roofers bond several layers to form a watertight covering with essential fire protection. Modern membranes and techniques allow for walkways movement without fear of cracking and damage. Because traditional felting techniques are flexible and adaptable to the building design, complex structures don’t pose any problems. There are also several suitable ways to insulate your building with flat roof materials. Invest in a flat roofing company that you know also invests in all the latest equipment and installer training. We aim to provide exceptional roofing industry quality standards for our installation, service standards, and also cost. Discover the best roofing options for your commercial property. Please contact us for more information, or ask for a free no obligation survey. Flat Roof Direct can be contacted by telephone, email or by using the online contact form on this website.